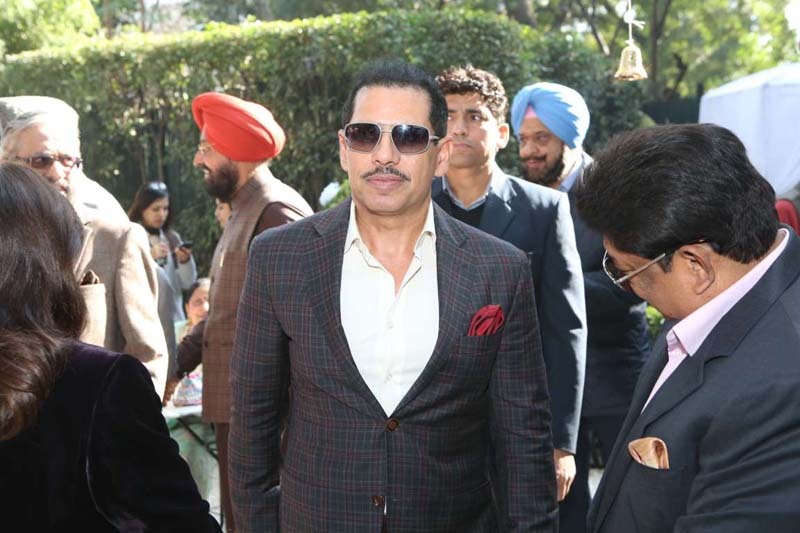 Robert Vadra, Aides Raided, He Says "Politics Of Revenge"
In a surprise move, the Enforcement Directorate (ED) raided an office of Robert Vadra -- the brother-in-law of Congress president Rahul Gandhi -- and the residences of his associates in the national capital region today. Probe teams also searched properties of the businessman's aides in Bengaluru the same day. Mr Vadra's lawyer Suman Khaitan alleged that ED officials raided the property around 9 am and, in a dictatorial fashion, locked the employees in. "They locked our people of Skylight Hospitality inside, and they are not allowing anyone to meet them. Is this Nazism? Is this a jail?" ANI quoted him as saying. The raids were reportedly conducted as part of an investigation into alleged commissions received in connection with defence deals, official sources said.They, however, refused to elaborate on the matter. Mr Khaitan said the properties illegally targeted by ED officers included his client's Sukhdev Vihar office and the residences of two associates. "It was completely illegal. They did not even wait for the staff to open my client's office despite being required by the law to do so. They illegally broke the locks and entered the office. They also broke open the locks of all the cabins in the office. ED officers have been inside the office since 8-9 am, but they have permitted neither lawyers nor representatives into the office," he claimed in a Facebook post. The businessman maintains that the Narendra Modi government is victimising him and his associates. "It has been four-five years already, and they found nothing, so now they are locking us outside and planting fabricated evidence," Mr Khaitan told reporters. The Congress reacted to the raids soon afterwards, claiming that the BJP was resorting to unsporting activities in the face of an impending defeat in the ongoing assembly polls. "Sure-shot defeat in 5 states unnerves Modi govt; unleashing revenge and vendetta against Robert Vadra to divert narrative," party spokesperson Randeep Surjewala tweeted. Former Jammu and Kashmir Chief Minister Omar Abdullah also questioned the timing of the raids. "The Enforcement Directorate has done a damn fine job taking attention away from the exit polls, maha polls & polls of polls," he tweeted. Earlier, the BJP had alleged that the UPA government ditched its version of the Rafale aircraft deal with France when the latter refused to oblige a "middleman" picked by Mr Vadra. World - U.S. Daily News: Robert Vadra, Aides Raided, He Says "Politics Of Revenge"